Taylor spent much of his lone campaign in the Big Apple wearing this Player Exclusive colorway of the Air Jordan 3. 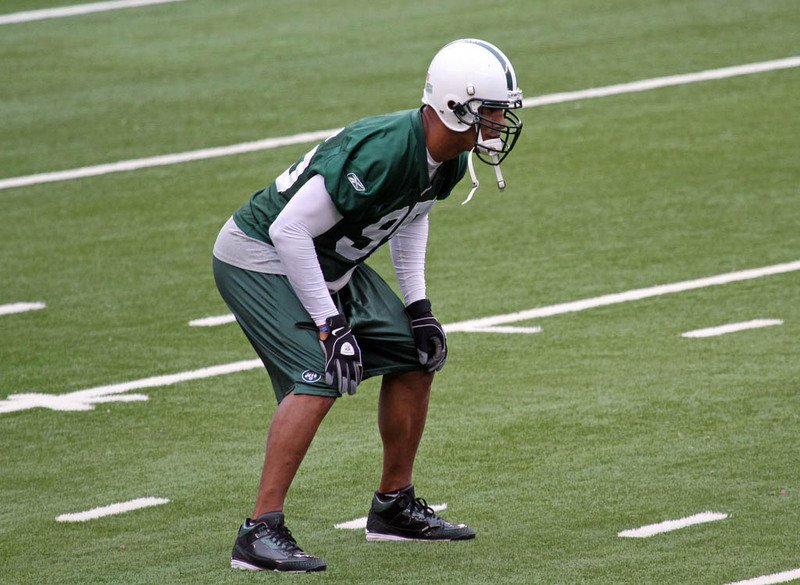 Before the recently retired Jason Taylor returned to Miami to finish his career where it started, he spent the 2010 NFL season playing with the rival New York Jets. A wearer of Jordan Brand cleated footwear since 2003, Taylor spent much of his lone campaign in the Big Apple wearing this Player Exclusive colorway of the Air Jordan 3. 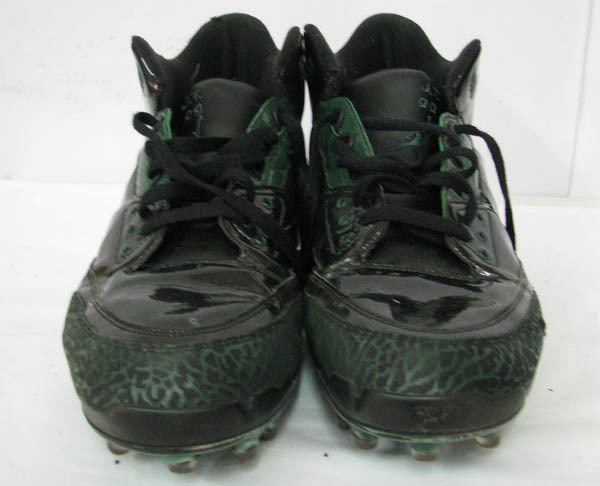 The cleats sport a black patent leather base, accented by hits of dark green along the eyestay, collar, upper lace taps and elephant print rands wrapped around the toebox and heel. Taylor's initials and jersey number "99" are embroidered on the tongue. Capping off the look below is a white midsole and green cleated plate. 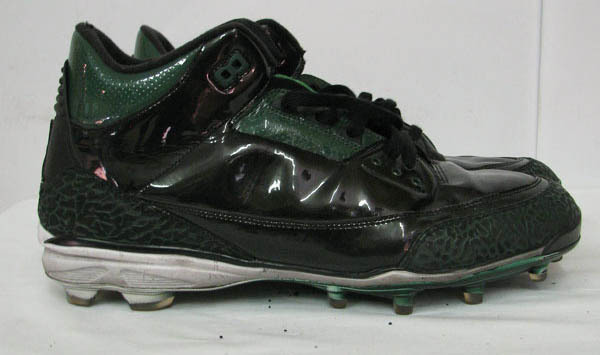 Collectors interested in grabbing these cleats can the j.o.sportsco listing on eBay.